It’s that time of the year again, you know, when everything seems fresh and every day is shiny and new – January, to be exact. If only the essence of this month could be bottled up so we could spritz it on every other day of the year, maybe calling it, ‘Eau de Possibilities’. And that’s what we’re about this week: excited, anxious, bring-it-on, hesitant – are we ready for 2016? Running on the beach on Christmas was all I had hoped it would be and more. My holidays were just what I needed: sunny, rainy, happy, sad, giving, receiving – the whole gamut. The last week of the year was sort of a let down after holding a consistent level of excitement for 25 days, sheesh. But, like most folks I rallied on the 31st, at around 11:30PM, the tingles started and a fresh breeze started blowing out all the cobwebs of 2015, hello clean slate. 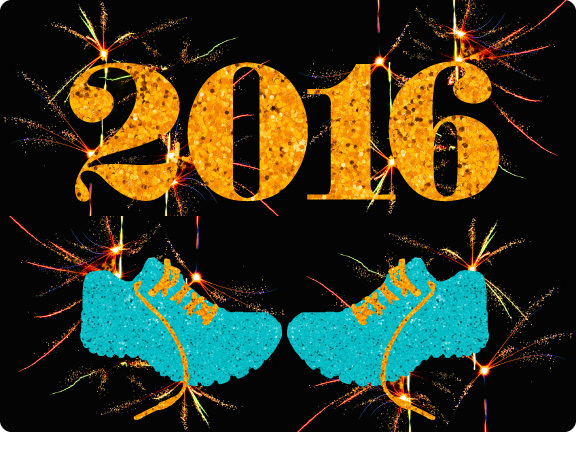 My running plans for this new year involve more races, as I found the ones I did last year quite refreshing, as well as creating good memories. I also plan on adding meditation to the roster to try and quiet this monkey-mind, hold the bananas. Maybe some squats, crunches and lunges…hmmm, sounds like some damn fine plans, yep. What about you? monkey mind? You do know it’s the year of the Monkey, right? Or am I mistaken?